The twin bards are supposedly the most deadly pair of bards in Merovia. Their vampiric abilities enhance their charm and normally their shows end in a blood bath. 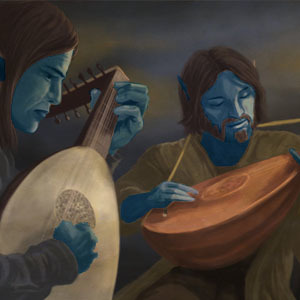 If you should ever hear that two moon elf bards are coming into town, its best to leave two days early.